Mostly set in present-day Singapore, Crazy Rich Asians follows three incredibly wealthy, inter-married Chinese families, and let me assure you, crazy rich is an understatement. The story focuses on Rachel Chu, an accomplished ABC (American Born Chinese) economics professor who agrees to spend the summer holidays with her boyfriend, Nick Young, a handsome and affable history professor, who is returning home to Singapore for his best friend’s nuptials. Rachel has no clue of Nick’s family background, and after she departs New York in a first-class lounger, it’s a very wild ride indeed. There are more designer and couture references than you can shake a manicured hand at, and the privilege of the characters is dizzying. It may seem like a farce, or an exaggeration of how the other side lives, but there is truth in Kevin Kwan’s depiction: according to Forbes, the number of China’s billionaires in the last decade has grown to be second to the United States. Crazy Rich Asians offers a fascinating insight into this changing Chinese culture, Westernisation, the globalisation of wealth and the representation of old versus new money in the tax haven of Singapore. 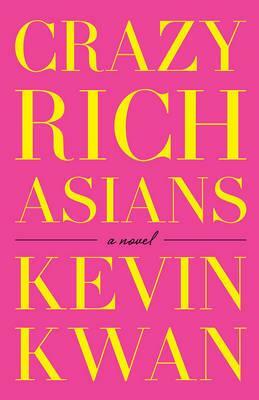 The myriad characters tell their stories in alternating chapters – these shifts were a little distracting at times but overall provided a hilarious, gossipy tapestry for the ‘average girl meets ludicrously rich eligible bachelor’ story, and matched the frenetic pace set in the lead-up to the grand society wedding. The book has already been picked up for a film adaptation by Nina Jacobson, producer of The Hunger Games, which gives an indication of the story’s entertainment factor. Grab a takeaway laksa and be transported: Crazy Rich Asians presents a unique view of Singaporean life in the form of a delicious society comedy. Ingrid Josephine is marketing and events assistant at Readings. She is also on the grants committee for The Readings Foundation.